It has been a rocky eighteen months in Nevada for solar advocates. In December 2015, the state’s Public Utilities Commission (PUC) eliminated net metering. This gutted the Nevada solar industry and sent shock waves throughout the country. In June, Governor Sandoval signed into law a bill, AB405, which will restore net metering in the state. Passed with near unanimous approval from the legislature, it also cements Nevadans’ right to take control of where their electricity comes from. 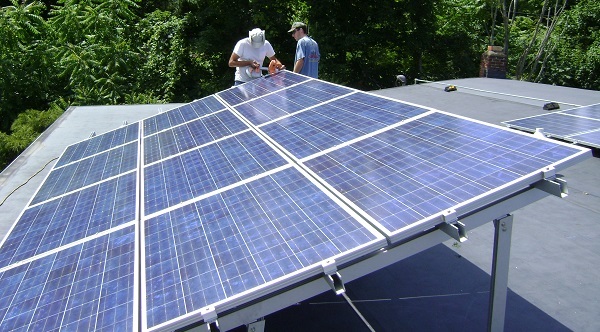 Called the Renewable Energy Bill of Rights, the relevant section from AB405 includes certain fundamental rights, including the right to “generate, consume and export” electricity, to store energy, to obtain “fair credit” for exported energy, to remain in the same broad rate class to which the owner would belong without net metering, and not to be subject to any fees or charges not applied to others within that same rate class. “All entities involved deserve a lot of credit; it wasn’t a simple process to reach this solution,” Miller said. Miller offered advice for advocates in other states who are fighting efforts to undermine net metering. This bill comes as the governor signed a whole slate of bills last month to create incentives for energy storage and electric vehicle-charging infrastructure, and to boost funding for energy efficiency for low-income residents. However, there was one important energy bill that the Governor, unexpectedly, vetoed: the community solar bill (SB392), claiming a possible conflict between that bill and AB405. Maggi is confident that a new community solar bill will eventually be passed. “I don’t believe that we are done with community solar. Getting clean energy into the hand of every Nevadan that wants it regardless of income or neighborhood is a huge goal of ours. What specific policies materialize moving forward will be heavily impacted by the governor’s Energy Choice, and now RPS, task force, as well as the 2018 election. It’s why NCL is going to be focused on making sure Nevada elects a clean energy champion to the governorship and defends all the legislative champions that really stepped up this legislative session,” Maggi said.